A few months back, Puff and I invited one of Bimmer's teachers over on a Sunday morning to babysit. 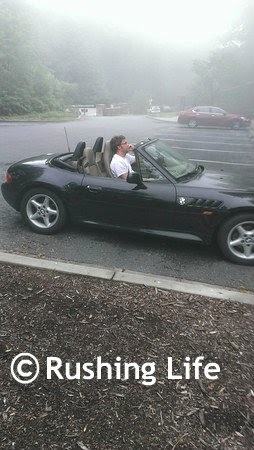 We had grandiose plans of taking the BMW to the mountains, top down, just like good ol' times. Then THIS happened, and our day was totally shot. So, in early June, Puff and I thought we would try again. We only had the babysitter for a limited time, so our plan of hiking to waterfalls got nixed in favor of a drive through the mountains, over Caesar's Head, and to Brevard, NC, for lunch at Rocky's Soda Shop. 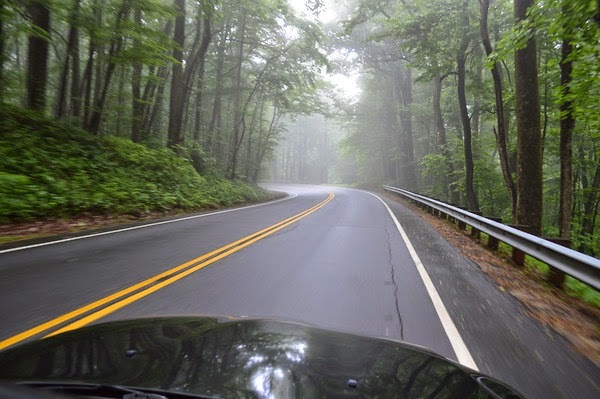 I realized it had been almost a year since I had been out in the convertible like that... top down, wind in my hair, cruising on South Carolina's back roads, winding in the mountains, getting some sun, and enjoying time feeling free and young with my hubby. I can't wait for us to get to do it again! Gotta keep the spice in the marriage somehow, right?